Having spent the vast majority of my life collecting `anything/everything` related to Elvis Presley `worthwhile` I have had the pleasure of meeting, in person and online, (literally) tens of thousands of Elvis` Fans Collectors, etc. I have no doubts that I have read, collected, seen, owned, etc. 99.9% of every book, song, movie, dvd, concert footage, etc. available about Elvis dating back to his birth in 1935. From the first time I asked for Elvis records as `presents` I knew in my heart that this collection was `bigger than me`. 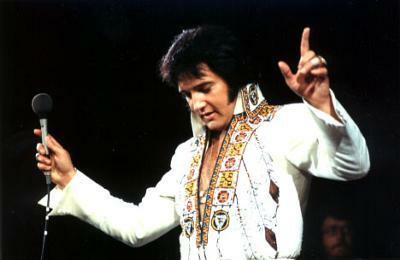 In the sense that I believed that Elvis Presley was a unique performer and I wanted to `hold onto` a part of his lifes work and hoped, and prayed, there would come a time when my children and theirs would ask about ` get to know Elvis` music and body of work and the genuine good hearted man he could be ` on their own. As much as I cherished each item I tried my best to preserve it in it`s original state because `if it was good enough for Elvis`.it was good enough for me`. In the Elvis collecting World there is money to be made`and their should be. I have been an Elvis Presley DIEHARD advocate for almost 50 years now and I pride myself on telling the WHOLE truth about Elvis, his life, his mistakes, his fears, and his triumphs. I have turned down every monetary venture, interview request, etc. except (1) one and I did so without monetary benefit and just because of the respect that I had for the person asking. A few years ago we decided that some of the (approximately) 100,000 Elvis Presley Photos that I had accumulated, purchased, etc. should be offered (a) on a limited basis (b) solely to Elvis Fans and (c) on a professional basis. I have always mandated that 100% of every NET CENT made (after listing fees, postage, eBay charges, etc.) would be given to charitable endeavors and that continues on to this day. Regretably there have been those who have given us `pause` in this endeavor and have conducted themselves selfishly, disrespectfully, and dishonestly. This gives us further reason to acknowledge the `good Elvis Collectors` versus those who use his name, likeness, etc. to solely monetarily benefit. I have often said that `if money was the sole purpose in life everyone would aspire to be`.drug dealers` (for I hear it is an `all cash business` and `business is always good`). I made that statement NOT to make fun of those who commit criminal behavior, or to hurt those who sadly are addicted to drugs (for I pray for them and wish them the best), but to point out the DIFFERENCE between those who choose the `path of honor` and don`t. In every article over these past few years I have written my sincere thanks, appreciation, and respect to (including but not limited to): Marty Lacker, Red West, Sonny West, Lamar Fike, Billy Smith, Joe Esposito, Priscilla Presley, Lisa Marie Presley, Jack Soden, every member of Elvis` musical group including back up singers and Orchestra, Elvis family members, the members of the Memphis Mafia family members, etc. There is NOTHING more that I would like to see, before it is my time to leave this earth, than for these individuals and their family be recognized by Elvis Fans Worldwide AND EPE and given the monetary benefits accordingly. With each passing year, month, and day the `window` for that to occur (sadly) grows smaller. First we lost Elvis, then Vernon, Dodger, Charlie Hodge, and others and their memorys and stories forever sealed other than the ones they shared previously. I never believed that I (personally) would live to be the age Elvis was when he died (i.e. 42) and yet I have and in spite of my `denial` I achieved that `accomplishment` almost a decade ago`.OUCH! Fortunately I have special mirrors that don`t reflect the years but still show the young man of times past`.but then I wake up (ouch times two!). Anyway, throughout the years I have seen every authorized and unauthorized Elvis `item` available. I always said aloud, and to myself, WHY aren`t there any Elvis Collectors with the same intent/integrity? WHY isn`t there a Collector who can share Elvis` story in a way that is WHOLLY unique ` from the heart ` and do so routinely? With each passing decade since Elvis` passing the answer to these questions went unanswered. This is NOT to minimize www.Elvis.com, or EPE, for every REAL Elvis Fan should visit/support/etc. these businesses for they are the OFFICIAL Elvis Presley sources. In full disclosure one of my GREATEST joys in the `Elvis World` was befriending, for over ten years, Todd Morgan who worked at EPE and earned/worked his way up through the ranks at EPE. It was a very sad day/time in my life to learn of Todd`s passing and my heart/prayers/etc. go out to him and to his loved ones/family. Todd Morgan was a living example of the `good in life` that brought people together, about Elvis in this case, that otherwise would have never met. When Todd Morgan died Elvis Fans Worldwide lost forever a bona fide ELVIS PRESLEY ASSET and he is missed`and will be. Fortunately for me, and for Elvis Fans Worldwide, there ARE Elvis Collectors who meet my `criteria` and I am happy (note: I don`t use that word often so lets not get all `Love Story` about this) that they have been given a forum to share their Collection and their stories. Hence, the reason for this article. As I have had to face lifes realities, and my own life threatening medical issues, some things have been minimized and others reaffirmed. Such is the case with wanting there to be other Elvis Collectors whose names should be `household names` to Elvis Fans AND should take up the advocacy of `spreading the word, endeavors, etc.` of the Memphis Mafia and others. In this article I would like to name a few Elvis Collectors who (a) I respect (b) should be welcomed/supported by the Elvis Community and (c) deserve an ongoing forum, and ensure that Memphis Mafia Members are a large part of that forum, for Elvis Presley Fans Worldwide. Before I reveal a few names I must disclose that I do NOT know another mans heart`or their intent. I have always `judged` others on MY interaction with them as well as words THEY have proferred in pubic and in private. Far too many `fair weather Elvis Fans` disrespect others and question their intentions/etc. For any man to openly convey their love, respect, appreciation, of and for Elvis Presley is NOT trivial and if there are sincere in their efforts and actions then there is REAL HONOR to be acknowledged now`and always. Each of these persons vary in age but all share a legitimate appreciation for Elvis Presley on stage`and off. Since they themselves have defined themselves as Elvis Collectors I have considered them as such. However, many of them have authored Elvis Presley books ` Elvis Presley Videos ` Elvis Presley Websites ` etc. so besides being Elvis Collectors they have shared their passion with Elvis Fans Worldwide AND done so in a manner consistent with RESPECT to Elvis Presley and his memory. I would ENCOURAGE every Elvis Fan Worldwide to look up these Elvis Collectors, buy/support their products/endeavors, and continue to do so for as long as Elvis` songs touch a cord in ones heart`and in ones soul. I would also state (again and again) to do so concering each and every member of the `Memphis Mafia` and for their family members. And, for the record, I DO NOT CARE FOR ONE SECOND THAT JUST BECAUSE RED AND SONNY WEST WROTE `Elvis What Happened` that they should not be FORGIVEN for any part that they played in that book (in full disclosure I have written previously about how I feel about that book and the adverse affect it had on Elvis and I stand by every word I have authored) for they LOVED Elvis, and Elvis loved them, and they thought at the time (which is what they have said and I hold them at their word) that they `wanted Elvis to get off the medications and seek help`. Perhaps it wasn`t the `right thing to do` but they shared their LIVES with Elvis and that was an `all encompassing job` that was not always `laughter, glitter, sun and fun`. I believe in my soul that had Elvis of lived that Red and Sonny would have found a way back into Elvis` life and it is TRAGIC that they were not afforded that opportunity and I am sure that they have SUFFERED, as have their families, more than`enough. As Elvis Fans we have the `right` to differ but we should always stay true to the FACTS and the FACTS are that all of these men, and women, carry on the life ` legacy ` etc. of Elvis Aron Presley (note: I refer to Elvis` full name as it was given to him by Gladys and Vernon on his original birth certificate and I am fully aware of the `Aron/Aaron` aspect and in fact my firstborn son is named `Aaron`). Only a `handful` of people who Elvis truly loved still exist in this World and (again) time is passing us all by through Gods` grace. As it is time for this article to come to an end it is my hope that those whose names I have referenced will oneday look upon these words knowing that `from one Elvis Collector to another` your efforts/results/endeavors are acknowledged and respected. May God bless each of these persons and every child born`and yet to be born.